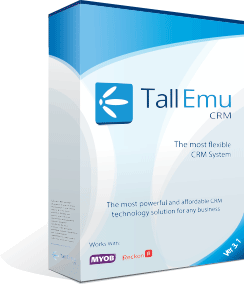 Tall Emu CRM is easy to install, and we have online instructions to help you do so. However, not everyone is a computer whizz so we also offer a remote installation service to help get your CRM up and running as quickly as possible. We do this using remote control software – a member of our team can remotely connect to your server, download and set up the Tall Emu CRM from our office. Complete the questionnaire about your environment we will send you. Provide us with a log in to your computer (or be available to enter the password during setup).